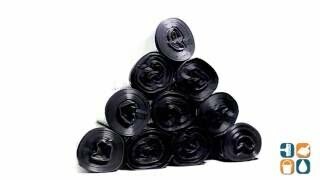 Jaguar Plastics' line of recycled black plastic garbage bags are ideal for use when cleaning up heavy or sharp objects around the home, school or office. Providing excellent tear resistance, these star seal bottom bags easily distribute weight and have the capacity to handle more trash than other standard bottom bags. Crafted from recycled plastic, these 60 gallon bags meet government Comprehensive Procurement Guidelines (EPA CPG Compliant) for recycled liners, making them the ideal choice for the environmentally conscience consumer who does not want to sacrifice quality for green ideals. Individually folded for one-at-a-time dispensing, these individually folded bags are flat pack packaged for easy dispensing. Stock up today and save! Perfect for heavy duty use. The product was as described. Good quality. 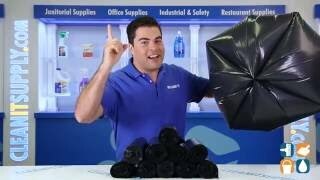 Very strong, large trash bags.